144 Hamilton Drive, Middle Sackville (MLS® 201902174 ) ATN Atlantic Homes is very pleased to present you with a superbly designed, open concept 2 story with completely finished basement with value that resonates with everyone immediately. 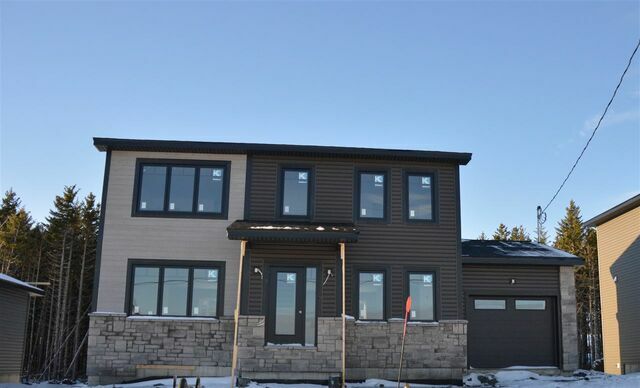 This modernly finished home will impress on the main level with its open concept layout. Of course the kitchen is a centre point of design along with its breakfast island. Kitchen opens onto your spacious family room with a cozy electric fireplace to add to modern finishes of your new home. Kitchen also has bluetooth speakers for your spur of the moment dance parties. Upstairs are three large bedrooms, a full bathroom for the kids, and a master ensuite that is straight out of home design magazines with his & hers sinks. Basement has a a massive rec room, a spare bedroom for visiting guests & a full bathroom for complete privacy for guests staying over night.